Reusable bags are a favoured way to promote educational programmes for schools, residents and the local business community. 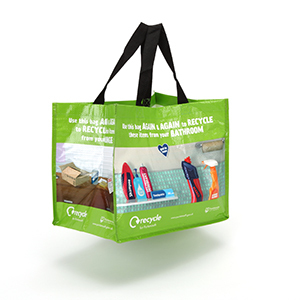 Promotional Bags for Life can also be used for joint campaigns with local retailers. Local authorities promote their initiatives and at the same time generate goodwill by giving away their branded eco-bags at fairs, green days and other sponsored events. They also raise funds by selling them as library or market bags. Smartbags have created many eye-catching reusable bags to promote clubs & associations, raise money and awareness for a number of educational institutions. Promote specific clubs and events: Logo bags can be used as giveaways bags during Freshers' Week and other important dates. Raise money: Sell at fairs and fundraising events to raise money for your school or college. Educational Tool: A competition to design a Bag for Life is a fun and educational way of engaging students and increasing their awareness of environmental issues. 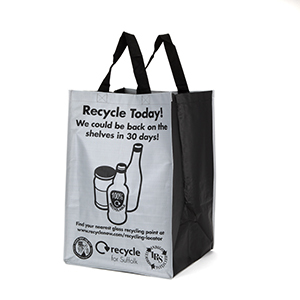 Promote recycling initiatives: Recycling bags for halls of residence, student tenants, staff work areas and classrooms. IT'S A WRAP! REUSABLE BAGS PROMOTE "LOVE FOOD HATE WASTE"
RECYCLING BAGS HELPING TO PROTECT OUR ENVIRONMENT FOR THE FUTURE! TED provides free access to business opportunities from the European Union, the European Economic Area and beyond. Every day, from Tuesday to Saturday, a further 1,700 public procurement notices are published on TED.